Home / gprs trick / Latest Technology / Mobile News / Tech News / Reliance Jio Entry War, cuts down Airtel, Vodafone data prices. Reliance Jio, a 4G service by Reliance which introducing free 4G sim with 4G data service unlimited as well as sms, call, national roaming service unlimited absolutely free for three months on purchasing a 4G smart phone provided by Reliance, powered by LYF at cost ₹3000 only. NEW DELHI: Mukesh Ambani's Reliance Jio Infocomm has fuelled a price war in the telecom industry. Much to the delight of millions of customers, incumbent players such as Airtel, Vodafone and Idea Cellular have started slashing data prices and adding value to existing internet and voice packs. The move comes after Jio started cornering customers by offering free unlimited voice and data packages. Jio has managed to get 1.5 million users after it started initial tests through Reliance employees from December 27 last year. Customers can buy Jio's Lyf handset at Rs 3,000 to avail 4G service free-of-cost. 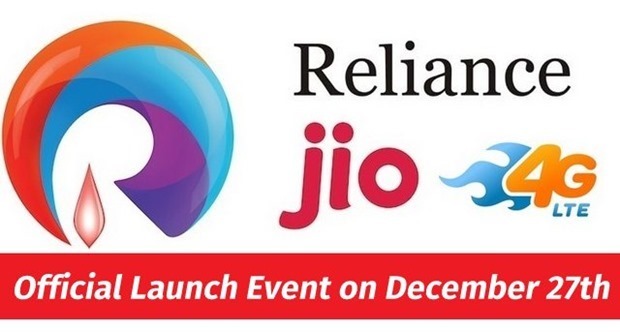 And, if you have any of the compatible Samsung handsets that the company has listed, you can get the Reliance Jio 4G service for free after generating a code. The company refers to these offers as "invitation". While the Reliance offers are new and not widely known, it has started creating ripples in the competitive telecom industry. Ambani's freebies - that company officials say will continue till Jio "commercially" starts operations - are forcing incumbents to add value to their offerings to contain the excitement around the new entrant. On Friday, Airtel lowered the threshold for plans where it also offers free voice, though this remains restricted to the postpaid segment. The entry to the 'Infinity' plan is now available from Rs 1,199, which packs in unlimited voice calling (local, STD, and national roaming) along with 100 free SMSs per day, 1GB 3G/4G data and free subscription to Wynk Music and Wynk Movies. Earlier, this was available from Rs 2,000. 'Infinity' customers, however, comprise 1% of Airtel's overall customer base. Vodafone recently added additional 67% data on its prepaid packs to give more internet value at the same price. On Friday, the company announced a lucrative offer - Vodafone Delights - that promises free 10-minute talk-time to all customers whose conversations get interrupted for any reason (company officials said this will include call drops). It is part of a "month-long bonanza" and thus limited in its validity (unless the company decides to extend it). And, it is applicable only for Vodafone-to-Vodafone connections. To avail the talk-time benefit, customers need to SMS 'BETTER' to 199 and talk time of 10 minutes will be credited immediately (within 30 minutes) to their numbers. "Each conversation on our network is important and must carry on uninterrupted. At times, however, conversations do get interrupted. To continue such conversations, we are offering 10-minute talk-time benefit - no questions asked," said Sandeep Kataria, director of (consumer) at Vodafone India. Idea Cellular had also added benefits to its smaller prepaid data packs (below 1 GB) as it increased value for customers. To counter Reliance Jio, the three telecom companies have been expanding 4G operations and introducing various offers. Telecom industry analysts said margins of the telecom players will get thinner as competition rises. "It has already become difficult, and no one is sure of how things pan out as Reliance Jio gets aggressive," a senior official with a leading telecom company said, requesting anonymity.